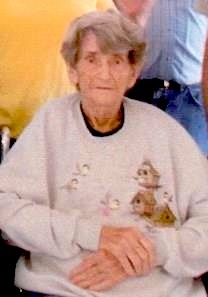 Mary O. Shrakes, 89, of Stilwell, Kansas passed away surrounded by her loving family on Tuesday, February 21, 2017. She will forever be remembered as a loving mother, grandma, great grandma, aunt and friend to everyone she met. Mary was born on July 26, 1927 in Preston, Missouri to Roscoe and Ina Walker. She married the love of her life Frankie J. Shrakes on January 30 1956 in Fort Scott, Kansas. Mary enjoyed wildlife, feeding the birds and especially the deer. Nothing gave her more pleasure than helping out around the neighborhood babysitting the neighbor’s kids and spending time with her own family and grandchildren. She also enjoyed jigsaw puzzles, and quilting. She will be dearly missed. Mary is preceded in death by her parents Roscoe and Ina Walker, her loving husband of 24 years Frankie Jr. Shrakes who passed away on November 15, 1980, three brothers, Marcus Walker, Leland Walker, Wallace Walker and sister, Sylvia Walker. She is survived by her children: Carol Moore and her husband Jerome of LaCygne, Kansas, Donald Shrakes of Stilwell, Kansas, Larry Shrakes and his wife Pam of Olathe, Kansas, Ronald Shrakes of Ottawa, Kansas, Kathy Vaneske and her husband Paul of Osawatomie, Kansas, Janet Mosafryan and her husband Mike of Ottawa, Kansas and stepson Frankie Shrakes and his wife Gail of Fort Scott, Kansas. She will be sadly missed by her many grandchildren and great grandchildren. Funeral services will be 10:00 a.m. Friday, February 24th at Stilwell Baptist Church 19950 Broadmoor Lane Stilwell, Kansas, Interment in Aubry Cemetery Stilwell, Kansas. Visitation one hour prior to the service at the church.